Born in 1909, he went to Charterhouse and Sandhurst, being commissioned and posted to 2nd Battalion The East Surrey Regiment at Catterick in 1929. He was good at games particularly golf, cricket, soccer and squash. A keen horse man and very interested in racing, he was highly entertaining, possessed a great sense of humour, was a good speaker and renowned as a raconteur. In 1938 Peter joined the Sudan Defence Force where he learned Arabic. When Italy entered the war, he took part in the East African campaign and for a time was ADC to General Sir William Platt. Between 1941 and 1943 he was a GSO 2 at HQ 8th Army and was Mentioned in Despatches. He also served in Palestine, Lebanon and Syria. 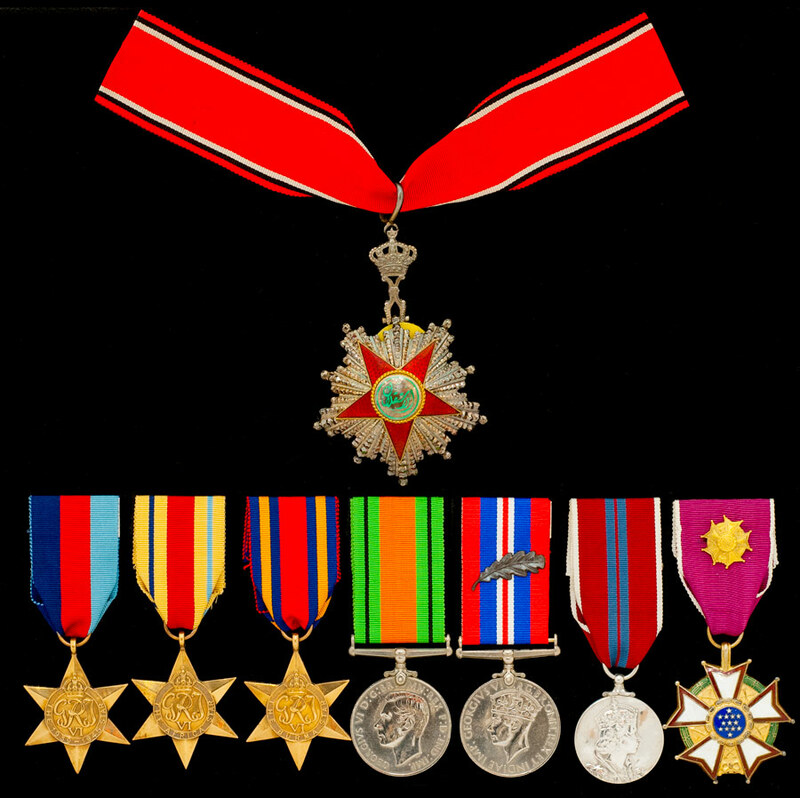 In 1944 he was sent to USA where he held appointments as GSO 2 and GSO 1, and was awarded the American Legion of Merit. After the war he commanded the Training Company at the Depot, Kingston-upon-Thames, and subsequently a battalion in the Sudan Defence Force. In 1951 he was appointed second in command of 1 Surreys. There were several months between the departure of John Metcalfe as CO and the arrival of Harry Smith. During those months Peter was acting CO and took the Battalion by air from UK to Tripoli. In those days, it was unusual for a whole unit to undertake such a move at very short notice. In 1953 Peter was promoted to Colonel and appointed Head of the Mission to the Libyan Army. He was awarded the Order of Independence of Lybia. In 1957 he was posted to Iraq as Military Attache to our Ambassador in Baghdad, in the local rank of Brigadier. He retired in February 1959 and for some time took an active part in Horse Racing. He was Secretary of several Golf Clubs, including Worplesdon, and was a Vice President of Sussex County Golf Union. He died on 15th May 1991.